Imagine Google without the invasion of privacy or Apple without the proprietary platform and technologies and what you have is Amazon. Roger Lanctot, Research Analyst, Strategy Analytics explains why Amazon will lead the way in 2016. Amazon closes 2015 with the soft launch of its much-rumoured delivery service apparently called Flex. But this is but a tiny manifestation of what Amazon has actually become or will become in 2016. While Google intrudes and invades, Amazon enables. With its smiling logo, Amazon has built what many consider to be the largest and best global cloud service - pulling in $US2 billion+ in third quarter revenue. That doesn't mean much to most people. But the reality is that Amazon is providing the network infrastructure behind many businesses and popular applications as well as a growing number of connected cars. The leadership that Amazon Web Services has established has come in the face of stiff competition from the likes of Google, IBM, Microsoft, Verizon, Apple and a host of other established and start up cloud service providers. AWS has distanced itself from these competitors with size and innovation - morphing itself into what may be the easiest to use platform in the industry - a reality that has drawn app start-ups in droves seeking low-cost Web services. Amazon's growing roster of its own products and services include: AmazonPrime, AmazonFresh, Amazon Fire TV, Amazon Payments, Amazon Music, Alexa (the home assistant device), Kindle, Amazon Games, Amazon Art, Amazon Video, Amazon Dash and the list goes on. Yet, while moving into different product and service areas Amazon has avoided the kind of monopoly fear-mongering of Google initiatives. This is not to say that Jeff Bezos hasn't had his moments of hubris overload. But by and large, Amazon has carefully curated a brand halo that has allowed the company to float above the fray in spite of press reports of oppressive working conditions or criticism of the '60 Minutes' report of impending drone deliveries. Amazon has successfully inserted itself into its customers' grocery shopping (AmazonFresh), media consumption (Amazon Fire TV/Music/Video), and online shopping. The company's work with Tata Motors, BMW and a growing roster of auto makers is less well known - or the fact that nVidia is leveraging AWS for its automotive machine-learning effort in support of autonomous driving. The combination of Amazon's Web service strength, its e-commerce platform, its in-home presence (Alexa, Fire TV, Kindle), and app support systems positions Amazon to take on transportation-related opportunities in 2016 while stitching together other elements of the Internet of Things quilt. Does this mean Amazon is going to get into garage door openers, home security systems and connected thermostats? Probably not. But it doesn't have to. The launch of Amazon Flex at the close of 2016 is a reflection of the company's unique ability to create and leverage crowds. Amazon has created its own need for an ad hoc delivery network. 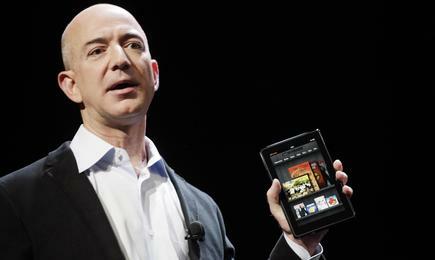 Amazon Flex is a way for Amazon to empower its own customers to deliver goods to one another. By doing so, Amazon solves a $US1 billion problem of its own creation - delivering goods directly to its customers. Amazon has created its own demand, its own market. And once it has built a delivery network, it won't be much of a stretch for those same delivery partners to start delivering people. 2015's Disruptor in Chief - Uber - better look out. What else might Amazon offer in 2016? How about Amazon Fleet? Amazon has all of the resources to create a Fleet-in-a-Box solution for any small sales or service force or even for a large commercial fleet operator to commence connecting its vehicles on a shoe string - at least relative to the cost of working with a large commercial fleet operator. Once Amazon is delivering goods and people and connecting cars, its won't be much of a stretch to begin offering connected vehicle services such as traffic weather and parking information - crowd-sourced, of course. Look out Waze. It's worth noting that Amazon got into the automotive aftermarket in 2015 with delivery and installation services. That will be a quick way to connect the 250 million unconnected cars currently on roads in the U.S. - or the one billion+ cars on the road outside the U.S.
Maybe Amazon can find a way to sort out the patchwork road tolling industry in the U.S. and around the world with Amazon Toll. Parking and pump payments by RF with Amazon On the Go. The sky is the limit. The proposition of limitless opportunities for Amazon in transportation in 2016 not only relates to the company's size but also to its customer engagement and customer satisfaction scores. Amazon routinely tops customer satisfaction ratings creating such an extraordinary degree of trust that virtually all doors are open to Amazon. Could Amazon make usage-based insurance a more viable proposition? I daresay Amazon would have little trouble pleasing and manipulating regulators if the company decided to get into the business of autonomous vehicles. Amazon Pod anyone? Look out, Google. The world will be Amazon's oyster to crack open in 2016. It's only a question of how far or how fast Amazon wants to go. Fasten your seat belts.